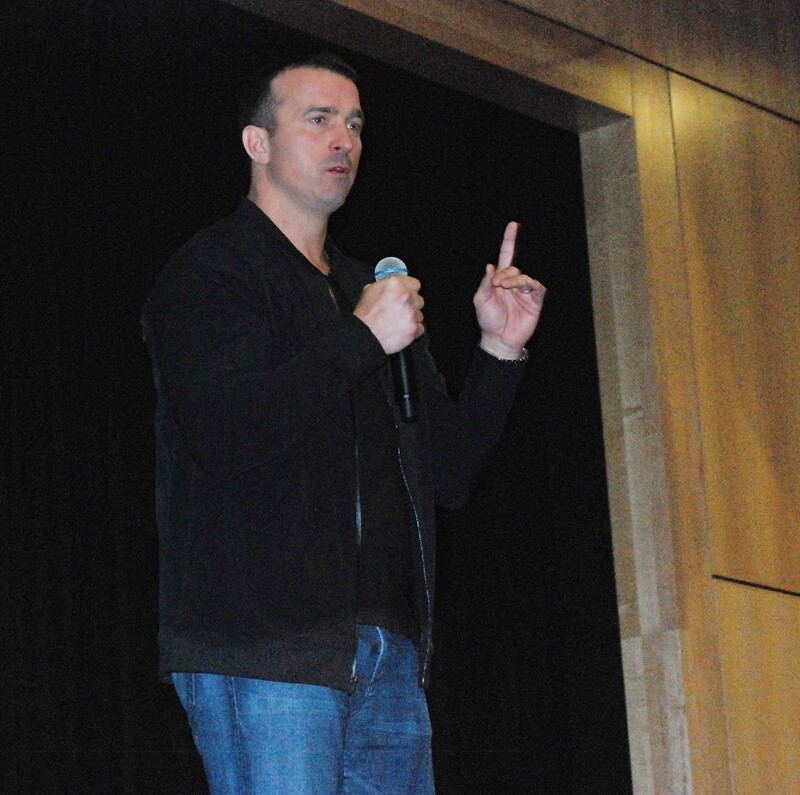 RHS students and faculty congregated in the RMS/RHS auditorium on Jan. 13 to listen to a story of drug abuse, and a message about self-confidence told by Chris Herren. Herren, an ex-NBA player whose heroin addiction forced him out of a basketball career, now shares his story on overcoming addiction as a lecturer. This event was sponsored by Daniel Biggins, Rockland School Committee Chairman. Mr. Biggins first started following Herren during his basketball career in high school, college, all the way to Herren making it on the Celtics. “I admired his efforts to deter others from making the same mistakes he did by sharing his story with brutal honesty. What motivated Mr. Biggins to bring Herren to RHS was how close his subject matter hit home to many in the Rockland community that have been struck hard with the drug abuse epidemic. Sophomore Patrick O’Toole said Herren’s story and message, although saddening, were quite inspirational. Herren went from overdosing four times on heroin to being someone his children can look up to, and being admired by many. Herren suggested others can bounce back just as he has if they make the effort. He urged students to be someone younger family members can look up to, and to be someone their parents can be proud of, while sharing the stories he has encountered on his journey. Sophomore Patrick O’Toole felt Herren related to RHS for similar reasons, and that his words really hit home to many students due to Herren describing his interactions with drugs as a kid high school age. O’Toole also admired Herren’s passion when discussing the hardships he experienced in his past. All in all, Herren’s speech was inspirational and eye opening to many. The RHS students and faculty would like to thank Herren and Mr. Biggins for this presentation.